Whether for your business or your home, your garage can provide safety to your car. However, when your garage floor begins to wear or deteriorate, it can cause eyesores along with unsafe situations. When you’re looking for a way to keep your garage floor surface clean, protected, and looking great for years to come, turn to the eSquared Asphalt Maintenance specialists. We provide multiple garage coating solutions that keep your surfaces smooth, resistant, and long-lasting. From concrete paint to protective coatings, our experts have your concrete covered. Learn more about your garage coating options in Waco and Temple, TX by calling our experts at 254-716-8685 today. In Waco and Temple, TX, a garage coating can have a multitude of advantages. For instance, these coatings can provide protection from water seeping and ponding, as well as preventing mold and mildew. They can protect your surface from the effects of chemical wear and can keep solvents, fluids, and compounds from leaving stains. Impacts can even be resisted with some coating formulas. Our experts can discuss your options with you to help find the perfect coating or painting solution for your surface. To learn more about all of your choices for helpful garage coating in Waco and Temple, TX, call our experts at 254-716-8685 to schedule our consultation. Concrete Coating Our experts can provide options for unbeatable protection without sacrificing appearance. 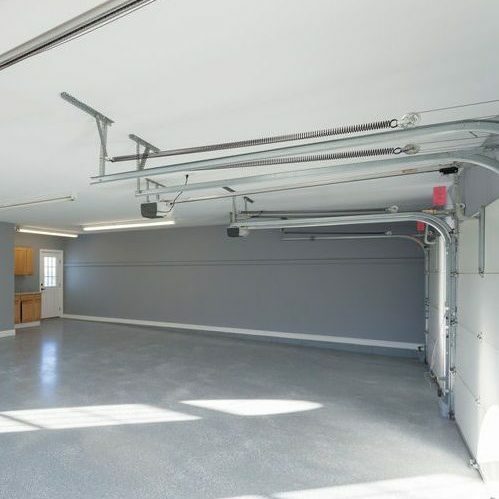 Epoxy, Silicone, and Acrylic Garage Floor Coating Learn how these coatings can provide substantial protection form things like drops, water, and even chemicals. Garage Floor Painting This affordable solution can deliver a uniform appearance and protection from impacts, stains, and scuffs. Parking Lot Coating and Painting Discover how these coatings can provide protection against weathering, crumbling, and spidering for a longer-lasting surface. Our expert technicians will inspect your garage floor to identify your individual needs and present realistic, affordable protective options for your surface. We will provide information on each type of coating including cost, performance, and lifespan to ensure you get the exact product you need, and perform flawless application for a surface that withstands anything life throws at it. Whether you’re looking for the lasting resistance that comes with garage floor painting or you need the substantial protection that’s offered by garage coating, our professionals can help. We will deliver affordable, convenient coating and painting services that are reliable and long-lasting. Call us today to find out how a garage coating can help you Waco and Temple, TX surface. Don’t let your garage floor become dingy and brittle. Our professionals can provide viable, affordable solutions like garage coatings throughout the Waco and Temple, TX area that offer protection and beauty for years on end. We will help guide you through the process to ensure you end up with the finished product you’re looking for. Call us today at 254-716-8685 to learn more about garage coatings or to schedule your consultation. Updated on March 22, 2019 at 3:07 pm by eSquared Asphalt Maintenance.